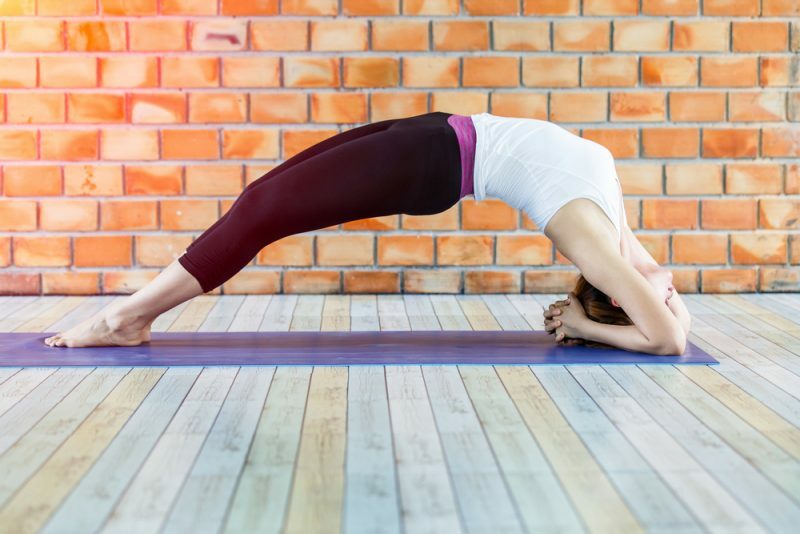 A practice loved widely and feared to the same degree, hot yoga is a specific type of asana class that has captured mainstream attention over the past half century. 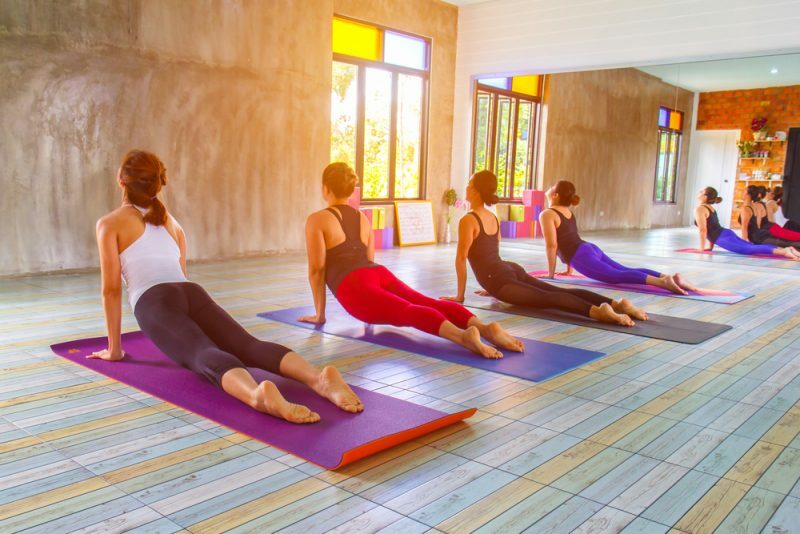 With asana practice led in a room heated anywhere from 80 to just above 100 degrees Fahrenheit, this type of yoga class is undoubtedly a workout for both body and mind. Hot yoga has a global presence with classes offered under various brands from the Americas to Europe to Asia, and goes by many names, from the well-known Bikram yoga to Moksha and to Evolation. Though details of the classes offered by various brands and teachers vary, heat is the common denominator, making hot yoga a practice that is sure to break a sweat. With that said, hot yoga has captured global attention in more modern times, offered in controlled settings where both humidity and temperature are taken into consideration. It is often considered that the official start of hot yoga was in the 1970s, brought about by Bikram Choudhury. Choudhury was born in Calcutta in 1946 and began practicing yoga at the age of four. When he came to the United States in the early 70s, he brought his practice and teachings with him, opening up the first Bikram studio in California. Since then, hundreds of Bikram studios have opened, and offshoots of this heated practice have been developed. Hot yoga itself is not a brand; its name simply indicates that classes are held in higher than normal room temperatures (normal as defined by the Western world). However, Choudhury’s brand certainly helped to make ‘hot yoga’ a recognized practice worldwide. Hot Yoga and Bikram – What’s the Difference? It can be said that Bikram yoga is hot yoga but that hot yoga is not necessarily Bikram yoga. There are some fundamental differences between Bikram-branded hot yoga and other hot yoga practices. While Bikram and other hot yoga classes are similar in that they are led in hot environments, Bikram studios must be heated to 105 degrees with 40 percent humidity. Other hot yoga classes are held in room of 80 degrees and above, and with varying levels of humidity. Generally speaking, hot yoga classes require no defined set of poses; however, Bikram yoga is more specified. Bikram classes move through a twenty-six asana sequence. They are performed in the same order during classes of 90 minutes in length. Poses come from traditional Hatha practice and include Half Moon Pose, Eagle Pose, Standing Bow, and Triangle Pose, among others. Bikram yoga classes can only be offered by Bikram-certified instructors. Studios must be affiliated to be considered “Bikram yoga.” Hot yoga on the other hand is not branded and can be offered by any trained teacher and in any studio or other space. There are no regulations on the ambiance of a general hot yoga class, and no restrictions on the use of music. Bikram classes, on the other hand, must follow certain ambient guidelines. Affiliated studios must have a mirror on the front wall and bright lighting. No music or clapping is permitted in class. There are some proven benefits of raising the heat for a yoga practice. One study performed by researchers at Texas State University compared physiological results of two groups against a control. The first group was a set of participants who practiced Bikram yoga classes at 105 degrees while the other group practiced Bikram routines at room temperature. The most significant difference between the two groups was a reduction in body fat percentage: those in the heated classes lost more body fat compared with those in the room temperature group. And while not statistically significant, the hot yoga group also saw improved total cholesterol and LDL levels (also known as “bad” cholesterol). Hot yoga can also help to boost blood circulation, which might play a role in elevating metabolism. The practice also helps to relieve stress and calm the mind, perhaps due to the focus and concentration it requires. Hot yoga also helps to build strength and muscle tone. As can be expected, the benefit to hot yoga comes not only from the heat. The same study that found a significant difference in reduction of body fat between the aforementioned control groups found heart-positive benefits in both sets. It appears the hatha yoga practice itself helps to improve vascular health, specifically measured through endothelium-dependent vasodilation. When we think about hot yoga, we often think about the sweat that comes along with it; and it’s true that sweating is a noticeable effect of the practice. But it is also commonly and erroneously assumed that through our sweat we release built up toxins that may be stored in our bodies. In reality, toxin release does not quite work this way. Toxins are processed by the liver before passing through either the kidneys or intestines to be excreted from the body in our waste products (that is, through our urine or stool). Sweat, on the other hand, is made up of water and small amounts of urea, lactic acid, and minerals. Unfortunately, the substances we most desire to be free of – such as heavy metals, pesticides, and preservatives – do not leave our system through our sweat glands. Though all of this is not to say that sweating cannot help our natural detoxification processes indirectly. If we are adequately replenishing our system by drinking lots of water, we can help the detoxification process along. Water helps our urinary and gastrointestinal systems to move things through us so that at the end of the day, we can get rid of those unwanted toxins more efficiently. It is also commonly assumed that hot yoga helps to provide a better stretch, and that this must be a good thing. The truth is that in heat, blood flow increases, which means we might feel that our muscles are able to stretch just that little bit further. Problems can arise when ligaments, which help stabilize joints, are pushed beyond their limits. Ligaments do not get much blood flow and therefore the little bit that they do stretch does not significantly increase in heat. As we push our muscles further in a heated yoga class, our ligaments may not be prepared, or we may miss signals of the body’s limits. In such a way, we run the risk of overstretching or tearing a ligament. It should be known then that the further stretch may not always be the better one. By remaining cognizant of the difference between the stretch potential of our joints and ligaments and of our muscles, we can be a little more cautious and mindful of our hot yoga practice and the degree to which we push it. By taking our time and paying attention to our joints when stretching, we can help to avoid overstretching of our more delicate tissues. There are a variety of ways we can prepare for a hot yoga class, whether Bikram or otherwise. First and foremost, we can start by getting really familiar with our regular yoga practice. If you are looking to take Bikram classes, start with traditional hatha classes to get to know proper alignment of various poses. If you are looking at other hot yoga offerings, inquire about the style of the class, temperature of the room, and level of skill required. Remember that hydration is of key importance before, during, and after a hot yoga practice. Not only will it help you to facilitate the detoxification process (through gastrointestinal and urinary support), but it will also help to keep you safe. The body requires water for countless processes so it is important to be replenishing. Drink the majority of your pre-practice water two hours before class and then continue with smaller increments leading up to and during class. In terms of food, refrain from eating a full meal within two hours before the start of the practice; small amounts are likely okay. Since we lose minerals as we sweat, electrolytes (primarily sodium, potassium, and magnesium) should be replenished after class. Electrolytes are crucial for communication between nerves and muscles, for blood pressure balance, and for proper hydration. Consider a sugar-free electrolyte drink, coconut water, or fresh-pressed juice. When it comes to what to wear, it can be assumed that “the less the better” in hot environments, and so shorts may be a common choice for a first hot yoga class. However, yoga pants that reach to the knee will help to improve grip and prevent slipping. It is also possible to purchase grip towels. Most are made of microfiber and some have silicon grips on one side to help provide extra non-slip support during practice. Most importantly, prepare for hot yoga by setting the ego aside before entering the space. Yoga practice is no competition, and hot yoga practice in particular can push the body further than it is used to going. Know your limits and go at your own pace. When needed, take breaks and hydrate accordingly. Hot yoga is not for everyone. Consult with a doctor or healthcare practitioner before starting any new exercise program to ensure that it is right for you. Hot yoga is not suitable in cases of heart problems, high or low blood pressure, pregnancy, and diabetes. Skip the practice if you are already dehydrated and when practicing, be mindful of when you may need to stop or slow down. Look out for headache, nausea, muscle cramps, and dizziness. Slow down or take breaks as your body requires. When ready to sweat, hot yoga can provide. This intensified form of yoga feels like a regular yoga practice but doubled, due to the humidity and temperature that infiltrates the room. If you’re looking to practice, consider starting with a class that is reasonably heated before opting for Bikram. As always, trust your body and refrain from pushing past your comfortable limits. There is no rush in yoga so take your time to get comfortable with the practice and then see where the heated class takes you.